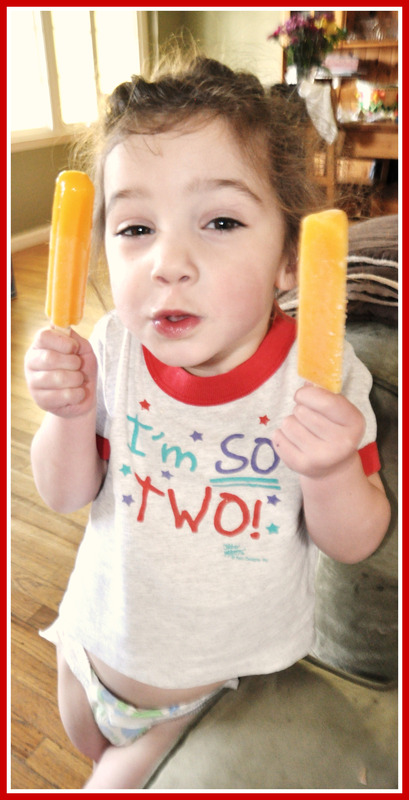 How many popsicles does a TWO year old with a DOUBLE ear infection get? You guessed it! Her two ears have taken us on quite a journey... At birth, Ashlyn passed the newborn hearing screening with flying colors and seemed to respond normally to sounds as an infant. By age 2 she was not saying much. "Mama" and "Momo" (Elmo) were her only two words. We chalked it up to a chatty older sister who took care of everything before she even asked and assumed she was just a late bloomer. 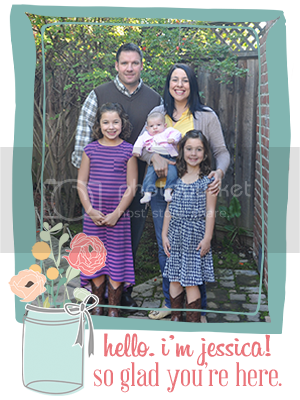 At her 2 year well-baby check-up, her pediatrician recommended speech therapy. The process started with a routine hearing exam. To our surprise, she failed the same test she passed at birth and was diagnosed with a severe loss on her right side and moderate/severe loss on her left. Further testing revealed that she has Enlarged Vestibular Aqueduct Syndrome (EVAS for short, thank goodness). Basically, the tubes that transmit sound from her ears to her brain are slightly larger than they should be. This causes a progressive hearing loss (which is why she heard normally at birth) and there is no known cure, surgical or otherwise. We are unsure exactly when she developed her hearing loss or how bad it will get. The silver linings to this cloud are many. Technology is advancing so rapidly that it's hard to keep up and we live 20 miles away from where much of it is happening. Digital hearing aids are the best they've ever been and she is responding wonderfully to hers (and they are pink and her ear molds are sparkly and SUPER cute). Also, her hearing loss seems to have leveled off for now. She was screened again last November and it was the same as when she was originally diagnosed and we have another one scheduled for the end of the month. We also have the option of cochlear implants if her hearing declines any further. The downside to cochlear implant surgery is that it destroys all residual hearing so we are praying that she maintains what hearing she has left and that she continues to do well with the amplification that her hearing aids provide. Less than a year ago she said only a handful of words and now she has quite a vocabulary (both speech and sign). She is still pretty difficult to understand for anyone outside of our immediate family but is steadily improving. We are so proud of her and the progress she has made and we are trying to be patient as she is learning. Ashy has come a long way! She is such a beautiful and loving little girl SO full of life and personality. I love her shirt!!! So glad to hear that she has come a long way with her hearing.